Don’t miss this great sale at participating dealers! Click here to find a local dealer today! Low Starch – A grain, alfalfa and molasses free pelleted feed. Ideal for horses with insulin resistance, Cushing’s, EPSM and PSSM requiring additional calories or tend to have allergies. Also ideal for HYPP horses. Lite – A grain and molasses free, highly fortified pellet feed. Ideal for ponies, miniature horses and easy keepers, as well as horses with insulin resistance, metabolic disease, founder/laminitis and Cushing’s. 30% Ration Balancer – A pelleted vitamin and mineral feed for easy keepers not needing additional calories. Ideal for ponies, miniature horses, growing horses, broodmares, performance horses and those with metabolic disease. Balances hay and pasture diets. Safe Starch Forage -A chopped forage fortified with vitamins and minerals. 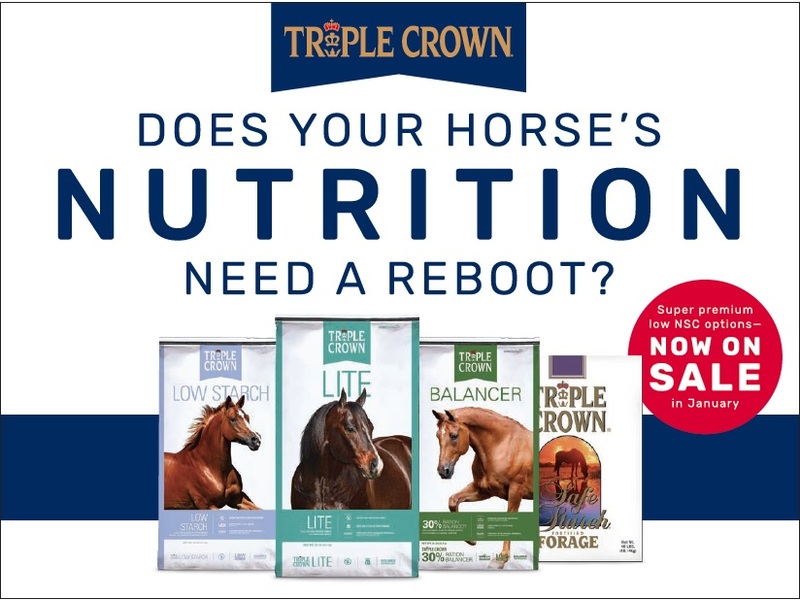 Ideal for horses with metabolic disease, founder/laminitis or poor dentition.